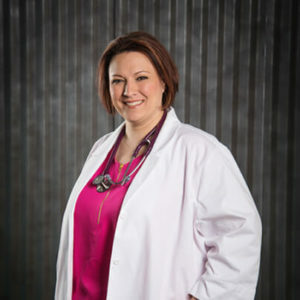 Robyn Vaughan MSN, APRN, FNP- C- BC is a nurse practitioner who is duel board certified by the AANP and ANCC in family practice. She enjoys providing high quality care to her patients in primary care, as well as within the recovery care environment to promote personal wellness in body, mind, and spirit. She graduated with her Associates and Bachelors of Science in Nursing from Weber State University in Ogden, Utah. A Master’s of Science in Nursing as a Family Nurse Practitioner was achieved from Maryville University in St. Louis, Missouri, and she is currently attending Grand Canyon University to achieve the degree of Doctorate of Nursing Practice. In her free time, Robyn enjoys spending time with her family, traveling, reading, the arts, and advocating for individuals with autism.